A desire to provide a break from the stress of modern living and a strong belief in the restorative powers of nature stand at the heart of ARK Shelter. Designed by a team of international architectural entrepreneurs, ARK offers a convenient glamping solution or home extension alternative. 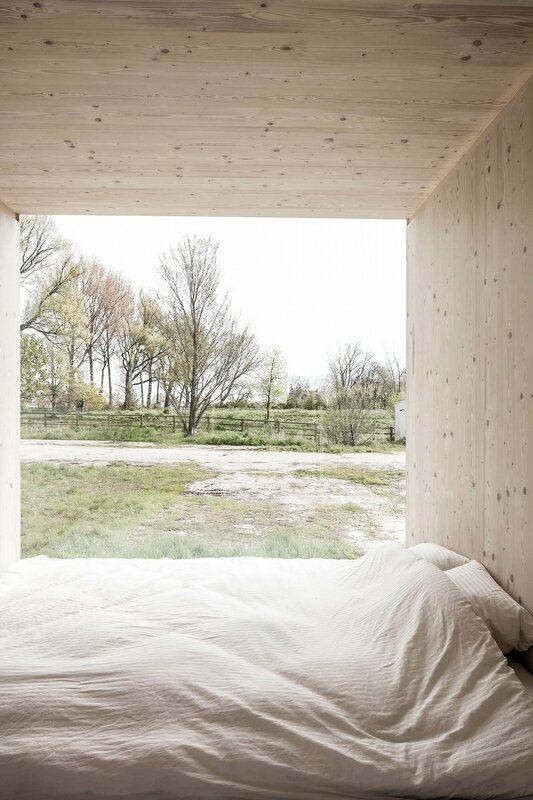 The completely mobile cabin is built without foundations, so it can be moved from a back garden to a meadow near a pine forest or to the coast, facing the sea. Whether used for camping, as a guest room, or as a quiet space for relaxation, the cabin provides ultimate comfort in a private retreat space. The sides open to reveal panoramic windows, connecting the interior to nature. Wood is used throughout to create a cozy ambience full of warmth, from the walls and floor to the ceiling and custom furniture. The cabin comes with a bed, table and seating, lamps, bedding, towels, and kitchen utensils. A fireplace in the middle of the room warms up the intimate room and allows the inhabitants to relax as they admire the landscape. More than just a cozy retreat, ARK Shelter is also eco-friendly: it uses wind power to produce electricity, collects rainwater, is built with sustainable materials that are meant to last a lifetime, and sits gently on the ground. If you’re thinking about ordering one for your garden or camping trips, head over to the official website for more info. Photo credits: ARK Shelter.